Hi guys! So finally! after a looooong time thinking about if I would create vlogs or videos or DIY videos, here it is! The first episode of Marotesque Diaries TV! (still thinking of a name though lol, like for the series... Marotesque TV.. or maybe something else lol) So this video is just a looong introduction of myself, and of course spreading the Kawaii PH vibe through YouTube as well~ I do apologize for my look lol didn't fix my hair cos I got lazy, didn't also put on contacts, so it literally looks like I just woke up haha! The vlogs I will be creating in the future would include travel documentaries, DIY's, haul videos, reviews, food tripping and a lot more! 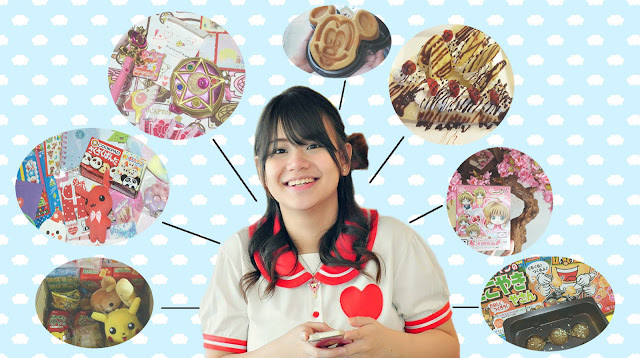 I've decided to document the kawaii life I'm leading since I joined the Kawaii PH team, and hopefully this can also inspire a lot of people to live the kawaii lifestyle as well! I also hope my videos would be able to communicate with fellow Kawaii enthusiasts from all over the world starting of course in the Philippines! 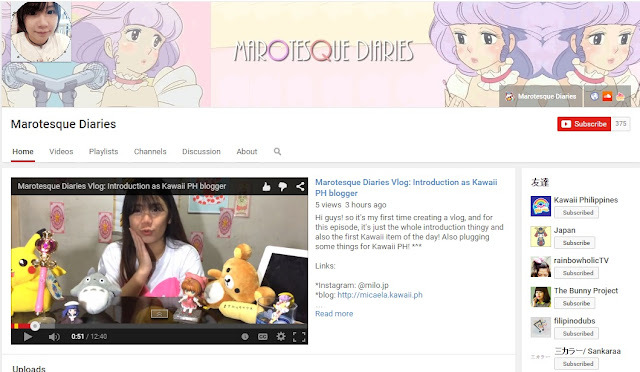 Youtube Channel : Marotesque Diaries I did not delete my old videos which were a bunch of covers of jpop songs, anime and vocaloid songs! So hopefully you can check those out too and maybe we can sing together sometime! Hopefully my next video will be up soon! If you have suggestions/recommendations for my upcoming videos just leave a comment or send me a message~ Thank you!